Oppo’s flagship N1 smartphone went on sale globally for the first time on December 10, but the version everybody wants — that’s the one that comes with CyanogenMod 10.2 pre-installed — wasn’t available from day one. 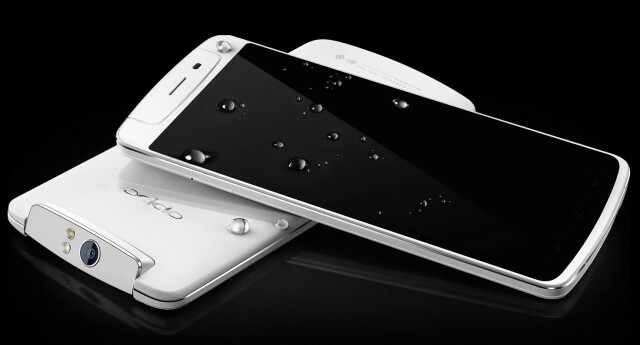 Oppo has today announced, however, that it will be available on December 24 — just in time for Christmas. Oppo was waiting for the N1 to pass Google’s compatibility test suite (CTS) process, which gives it access to Google’s official Android apps — including the Google Play Store. Without this, the company would have had to launch the N1 without a Play Store — or build its own — and users would have had to side-load their applications. It was certainly worth waiting for that before launching the CyanogenMod variant, then — even if it means you won’t quite get the N1 in time for Christmas. It’s unclear how much this N1 variant will cost, but it’s expected to come with the same $599 price tag (€499 in Europe) as the original model. That gets you a 5.9-inch 1080p display, a quad-core Snapdragon 600 processor, a 13-megapixel camera, and 2GB of RAM. Be the first to comment on "Oppo N1 With CyanogenMod"